Hello! Today I'm joining Hero Arts for another fabulous blog hop! We're sharing ideas to help get your fall and winter holiday cardmaking off to a great start. 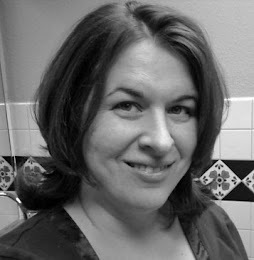 We are also joining Lea Lawson during her month-long Crafty Comeback Party. Have you visited Lea's blog? Whoa, she is super talented!! She's been doing lots of giveaways on her blog, so you'll want to check it out! You should have made your way to the hop by way of Tracy's blog. If you didn't, head back to the Hero Arts blog to start at the beginning! For my card today, I played with one of my favorite stamp sets from the October monthly release. It's called Irreverent Elf Messages and it pretty much just cracks me up! I love the little elf emojis. And the sentiments are way too funny! I stamped the elves randomly on Snow layering paper, then colored with my Copics. For a little bit of something extra, I added white Nuvo drops to their hat brims and pompoms. Now it's time to hop! 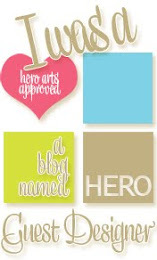 Hero Arts will be giving away a $25 gift certificate, randomly chosen from all of the comments left at every stop along the blog hop. To enter, leave a comment on any of the blogs by Friday, November 10 at 11:59pst, and the winner will be announced on Lea Lawson's blog the on Sunday, November 12. I'm the end of the line on today's hop. Thanks for joining us! Like the elves and their being “slightly” naughty. Another great card Libby. Too cute. I got this set and I can't wait to get creating. I was thinking gift tags, but now I see these make a great card! cute card Libby - love that sentiment! This is SO adorable, Libby! The sentiment totally made me giggle! Cute and fun card design. This totally made me smile. So cute and fun. Never knew this set existed. This is such a fun card ! Such an adorable card!!! Love how you made a background from those irreverent elves!! What a cute and funny card!! Cute! This stamp set is adorable! Hahaha... those elves are so hilarious! I love all their little funny faces! Great cheery card! You made me giggle. This is too cute. This card is too cute. Thank you for sharing. Such a fun, cute holiday card. TFS! What a fun card, I love it. Love the cuteness of the elves! Such a clever card! Your super fun and clever card made me laugh Libby!! Super cute and fun card that gave a giggle. Loaded with cuteness, love this card!! 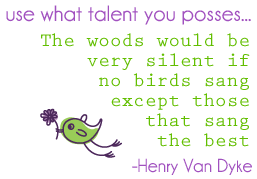 What a great sentiment too! Oh my! I love your adorable elves! Very cute card! Love the elves! This is so cute! I love those little elves! The little elf emojis made me laugh! Great card! What an awesome fun card! I love it! Fun way to end the hop, you have tickled my tinsel too. Absoltuely gorgeous is your card Libby! This stamp set from Hero Arts is so much fun. 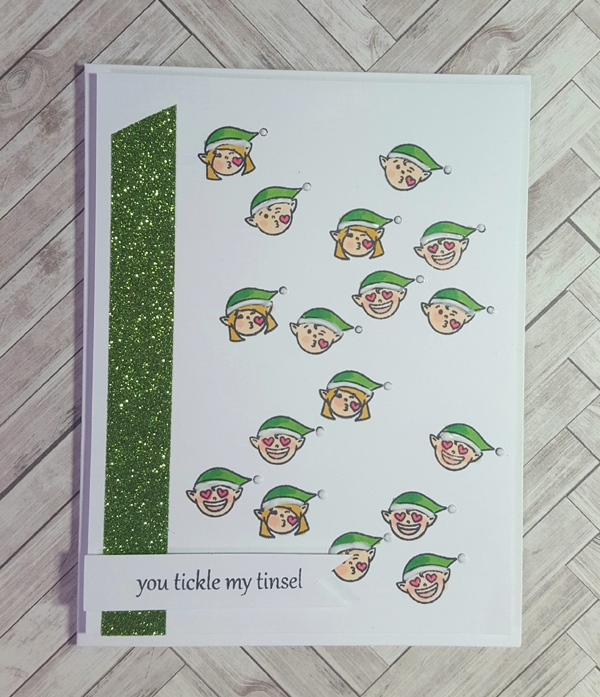 I laughed when I read "You tickle my tinsel." :D Great design. These little elves will bring a smile to everyone! Love the "pompoms"! They really add some dimension to this cute card. Such a cute and fun card! I love the green glitter strip down the side of the card. Hahahahahahaha!!! Oh my goodness--those elves are so stinkin' cute!!! Great job! Just too cute! Love the touch of glitter.